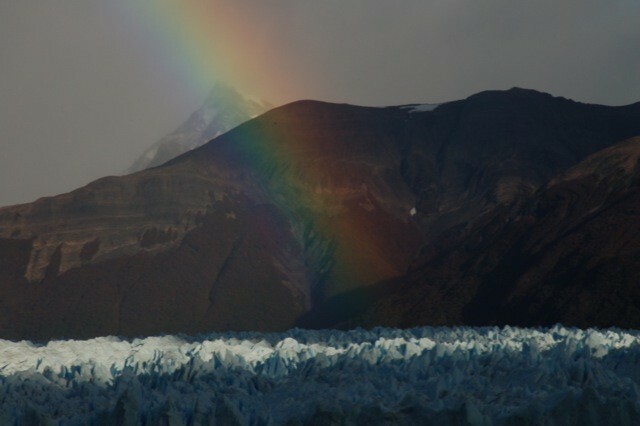 The Southern Patagonia Ice Field is the third biggest extension of continental ice after Antarctica and Greenland, located at the Southern Patagonic Andes between Argentina and Chile. 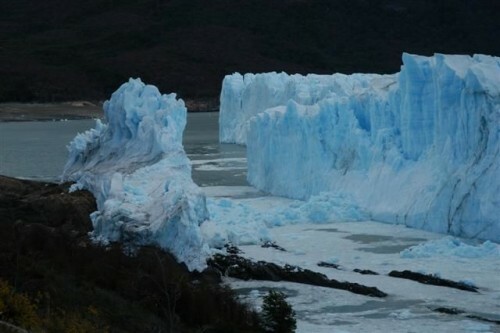 It is the bigger of two remnant parts of the Patagonian Ice Sheet. It extends from parallels 48° 20′ S to 51° 30′ S for approximately 350 kilometres, and has an area of 16,800 km², of which 14,200 km² belong to Chile and 2,600 km² to Argentina. Fifty kilometers of the Chile–Argentina border, between Mount Fitzroy and Cerro Murallon, remain undefined. 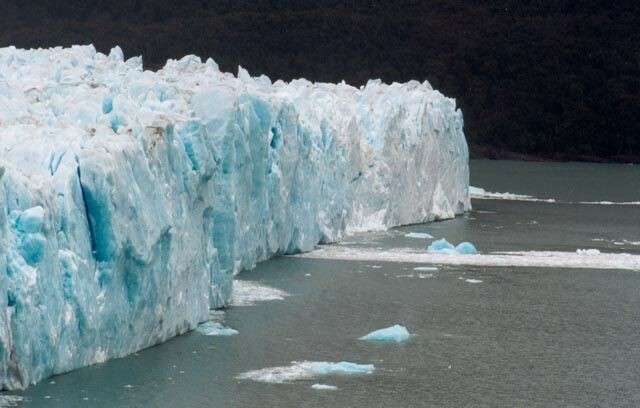 The ice mass feeds dozens of glaciers in the area, among which are the Upsala (902 km²), Viedma (978 km²) and Perito Moreno (258 km²) in the Los Glaciares National Park in Argentina, and the Pío XI Glacier or Bruggen Glacier (1,265 km², the biggest and longest in the southern hemisphere outside of Antarctica), O'Higgins (820 km²), Grey (270 km²) and Tyndall (331 km²) in Chile. 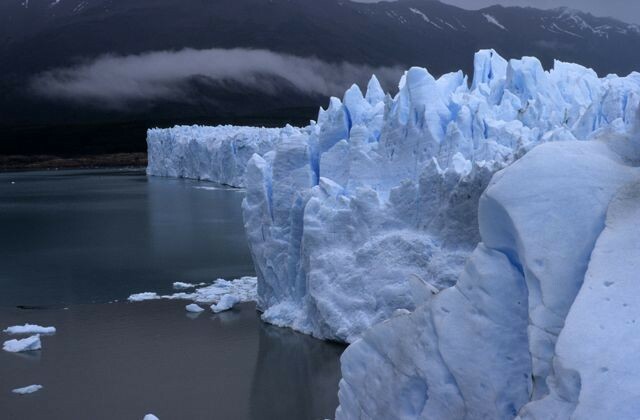 The glaciers going to the west flow into the fjords of the Patagonian channels of the Pacific Ocean; those going to the East flow into the Patagonian lakes Viedma and Argentino, and eventually, through the rivers de la Leona and Santa Cruz, to the Atlantic Ocean. 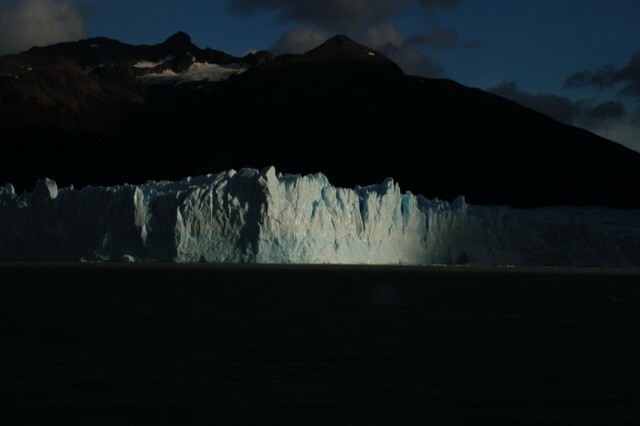 An important part of the ice field is protected under different national parks, such as the Bernardo O'Higgins and Torres del Paine in Chile, and the aforementioned Los Glaciares in Argentina.